May 19th and 20th I had a table (for the first time ever!) at the Midwest Comic Book Association's SpringCon! 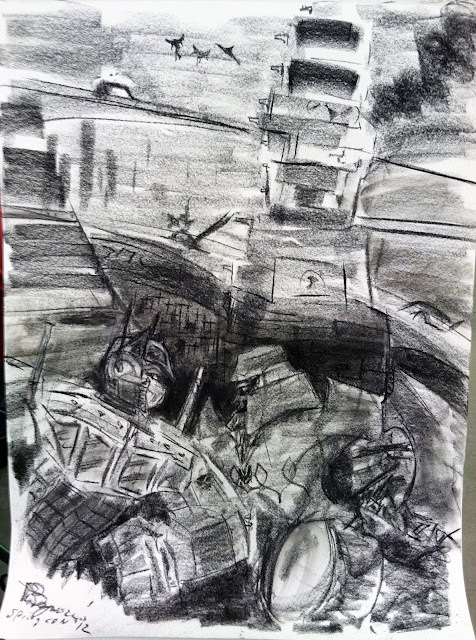 I was seated next to Sarah Kopitske and across from The Black Hat Collective and surrounded all about by Cartoonist Conspirators. Linkara was there doing... something. As were the Ghostbusters. It was a lovely crowd! I set up the table with homemade book stands and sold posters and prints of my portfolio pieces and several comic booklets. I also wore my Hedorah Fedora. I still have plenty of inventory, too, so if you want to order something drop me a line. Read on to hear stories about how the con went, and to see some pictures I made while I was there. 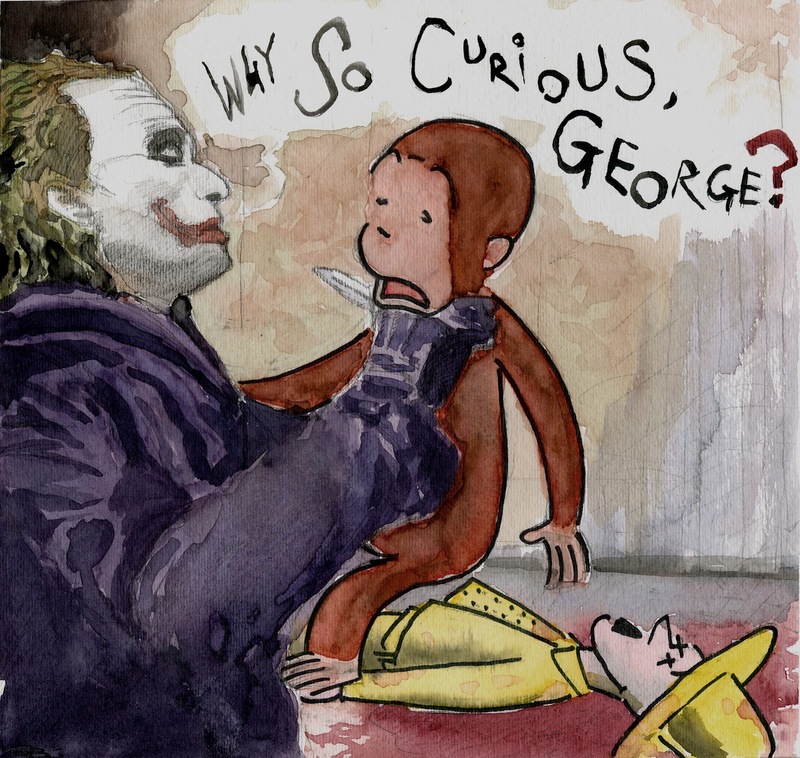 I brought ten copies of my 2008 painting, "Why So Curious, George?" and sold out of them an hour before the con ended on the last day. Why So Curious was my "crowd magnet" and helped facilitate a lot of other sales. 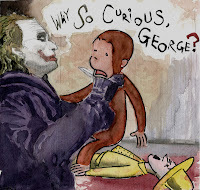 For example, ten minutes into the first day, a lovely family came up, laughed at WSCG, and then told me that it was their 2-year-old son Carson's birthday and that he LOVES Curious George. So I made sure to make them a (non-violent) commission of George, like he appears in the books, with a "Happy Birthday, Carson!" greeting written across the top. I made his day and that made my day. Easily my happiest moment for the whole con. Then I started drawing random fan-art and putting up signs that said "I draw 4 u!" I'd brought a large pad of paper and an easel so that people could see what I was working on. I had a few people come up asking for sketch cards, which is always awesome. I'm still getting around to those, actually, but I'll put them up when they're ready. misc. Autobots and Decepticons fight in the background. 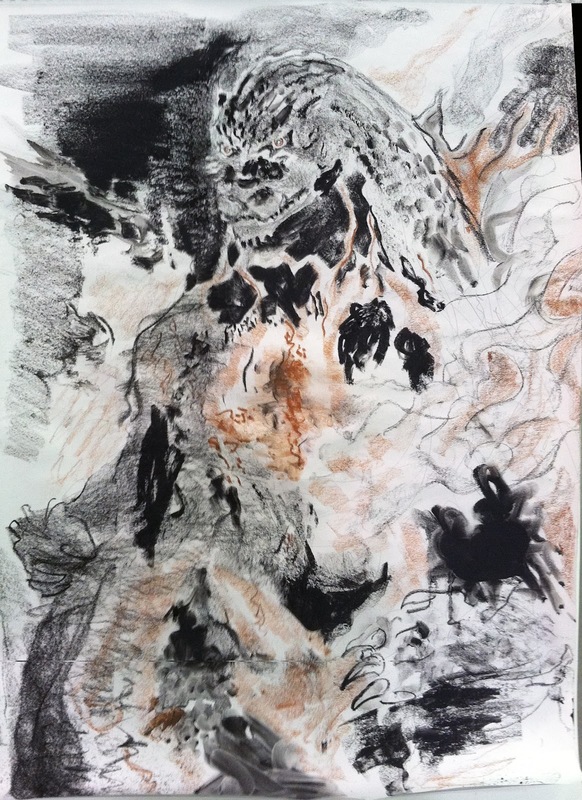 I also got introduced to an MCAD professor, and ran into my drawing and painting teacher from childhood. The community here is really interconnected and you'll always be surprised who you'll meet. All in all, it was really, really fun. A great first experience with conventions. I can't wait to go to FallCon, that's for sure!